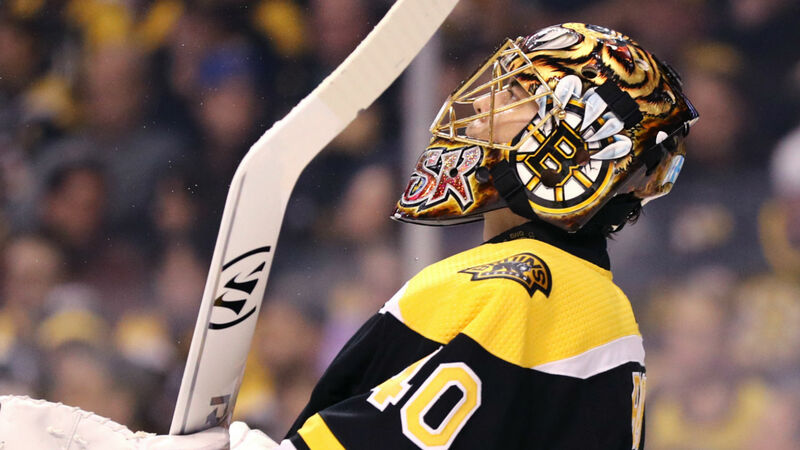 Joe Haggerty of NBC Sports Boston believes Halak will push Bruins starter Tuukka Rask, providing a measure of competition between the pipes that’s been lacking for some time. He also suggested Halak’s addition opens the possibility for the Bruins to trade Rask if a good offer came along, though he acknowledges it doesn’t mean it’s going to happen. The problem with this scenario, however, is Halak’s history of inconsistency and injuries. That’s why he’s no longer with the Blues and Islanders, and why the Capitals didn’t retain him after acquiring him from Buffalo late in 2013-14. Now 33, Halak’s best suited as an experienced backup for an established, temperamental starter such as Rask. Rask’s contract also makes him difficult to trade. He’s signed through 2020-21 with an annual salary cap hit of $7 million. His modified no-trade clause lists eight teams he can be dealt to in 2018-19, expanding to 15 teams for the final two years of the deal. Athanasiou’s contract talks went more smoothly this summer with the Wings as the sides agreed to a two-year, $6 million deal. While that should give the 23-year-old winger a better opportunity to establish himself with the rebuilding Wings, the Detroit Free Press’ Helene St. James wouldn’t be surprised if he got dealt for a second-draft pick or a prospect defenseman at some point. St. James recognized Athanasiou’s speed and scoring skills, but also pointed out he must improve his offensive consistency and defensive play. She feels his new contract could improve his trade value. Athanasiou’s new contract could be considered a “show-me” deal. If he improves over the course of this season it’ll boost his chances of becoming part of the Wings’ core. Otherwise, he could end up peddled at some point during the upcoming season.